Qmatic Solo is ideal for locations with one or more service category and needs, and allows you to manage customer flow from one central location. Reduce customers’ perceived waiting time with digital signage: Solo can be connected to LCD screens that display messages and content that’s relevant to your customers, citizens and patients, and keeps them engaged while they wait in line. 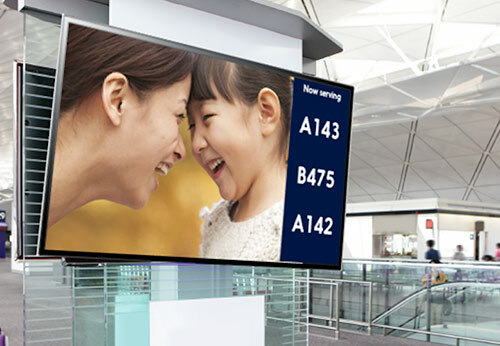 It can be fully integrated with third-party digital signage solutions and, using Qmatic Hub, you can control where messages appear and plug in any video feed. 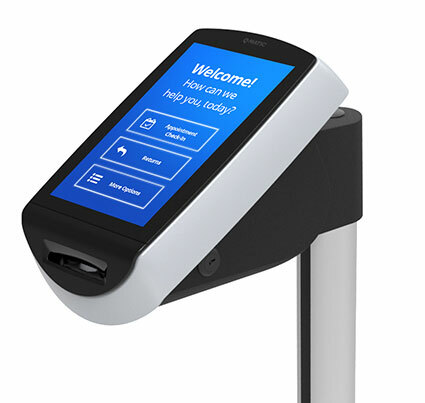 Solo Mobile lets customers keep their place in the queue, without having to physically stand in line. After entering personal information such as their cellphone number at the self-check-in kiosk, they will be summoned via email messages, alerts or SMSes when it’s their turn to be served. Qmatic Solo can quickly and simply be installed on its own wireless network. No software, PC or special wiring is needed. With Solo Mobile Connect, a smart business app for Android and IoS, employees can engage personally with customers via cellphone messages, for example calling them when it’s their turn in the queue or when there’s an unexpected break in service. Using Spotlight Media Player, employees can update digital signage with graphics, messages and queue status info to keep customers informed and the environment working efficiently. Solo gathers vital information, including customer service volume, services requested and waiting times. This helps you gain insight into how your organisation is fulfilling customers’ and employees’ needs. You can use this data, which is reported to a central management information system, to keep improving.